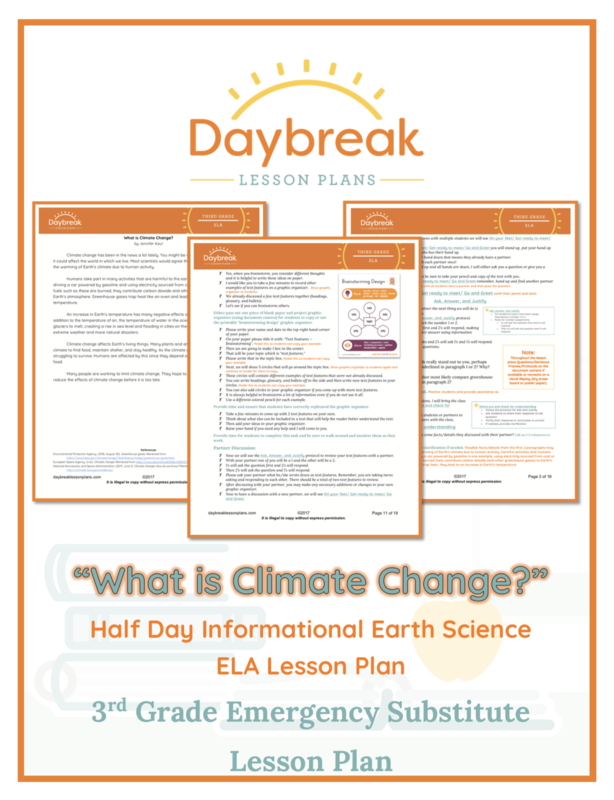 Third Grade half day of ELA lesson plans containing 3 independent lessons based around an informational Earth Science text “What is Climate Change?”. 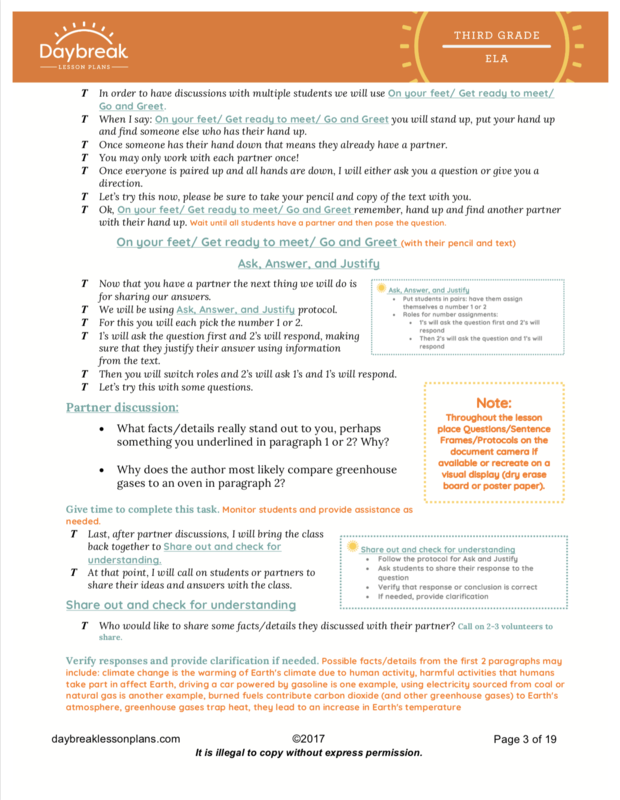 These lessons include: close reading comprehension techniques (RI.3.1, RI.3.2, RI.3.3, RI.3.4, RI.3.5 & RI.3.8), partner and group discussions around a text, cause and effect relationships with a focus on effects, and creating a new informational text layout with text features in mind. Segment 1: Students will take literal interpretation of informational text to evaluation and synthesizing. 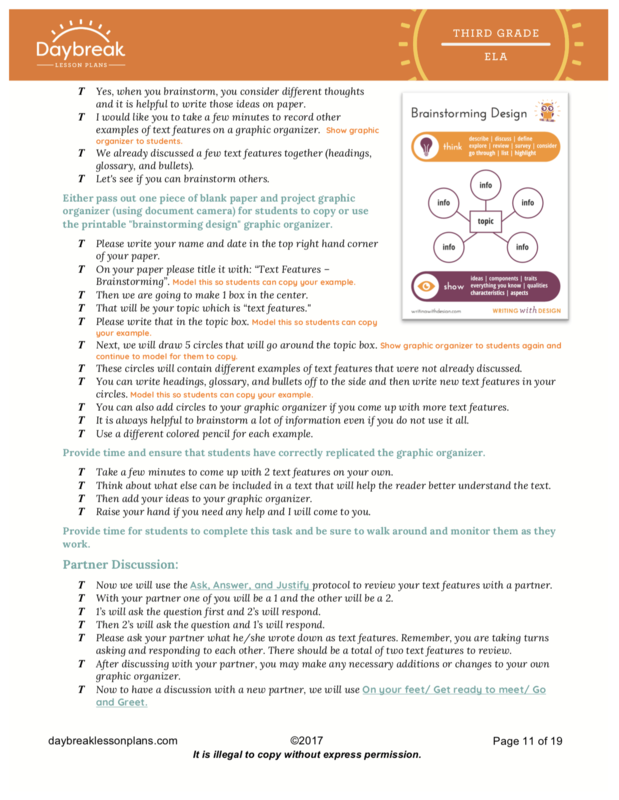 Segment 3: Students will create a new layout for the informational text that incorporates select text features. 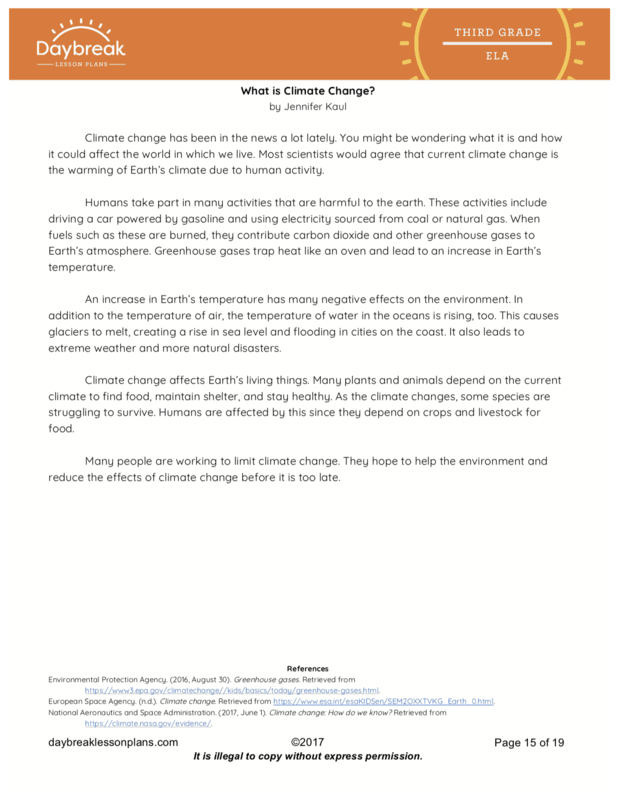 The text used in this lesson addresses the NGSS: ESS2.D: Weather and Climate: Climate describes a range of an area’s typical weather conditions and the extent to which those conditions vary over years.